We still have 4 tables of 4 (or 2 tables of 8 ) and a table for 2 available for both lunch events at Wickedfood Earth Country Cooking School. Come enjoy good food in the Wickedfood Earth Farm food gardens around the lunch area that have been internationally recognized by Slow Food. On the produce side Wickedfood Earth Country Cooking School have some great fresh and cured meat, and preserves available. We have various fresh beef cuts, and a few lambs and hoggets (lamb between 12 and 18 months old) ready for slaughter. On the pig side Wickedfood Earth Farm has resurrected its breeding programme and will start selling suckling pig from mid May. See below for more, or for a product list click here…. 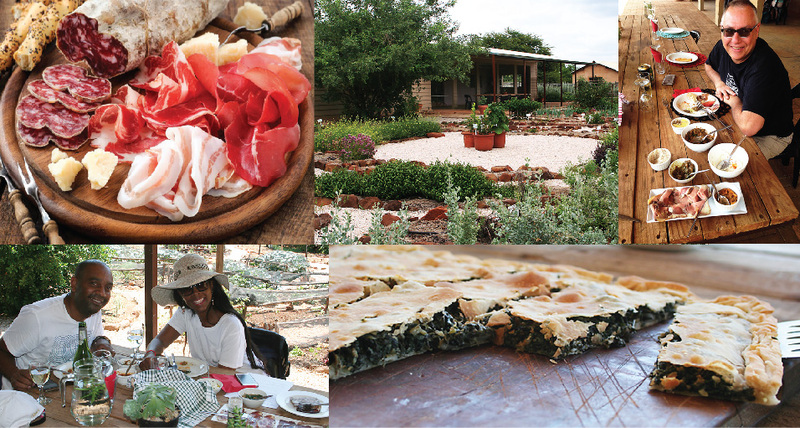 For the next 2 months the Country Cooking School’s exclusive Sunday lunches will showcase the flavourful antibiotic and growth hormone-free veld-raised meat we produce on the farm. Preserves, jams, relishes, fruit vinegar and bottled fruit, all hand made from Wickedfood Earth Farm fruit and vegetables. Looking forward to welcoming you to one of our events in the not-too-distant future.